So, I’m scared silly about what to do with my short-ish hair on our day of wedded bliss. I am absolutely consumed with envy of gals with layers of luxurious long locks (how’s that for alliteration?! ), but my thin strands don’t have the oomph or Pantene-commercial shine to fall romantically down my back. Instead I opt for a length somewhere between chin and shoulders most of the time. I definitely plan to have hair long enough by December to do some sort of pulling back (it can be pulled back into a short knob of a ponytail now), but it’s definitely not going to be anything out of a celebrity wedding ‘dos magazine, I can guarantee that. In an ideal world, I would have light, bouncy curls of hair cascading down my shoulders. Sorta like this. Or, I would have hair long enough to twist into a glorious pile atop my head. Like this. 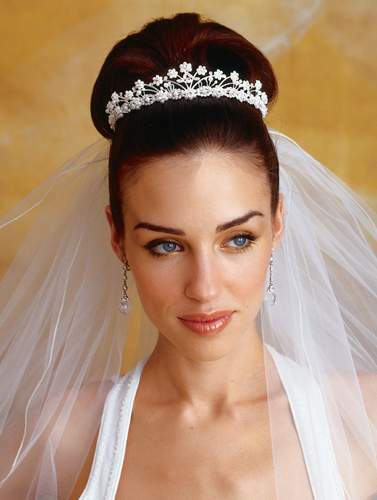 Or semi-piled atop the head and semi-cascading. Like this. But in reality, I know I can’t pull off these looks. 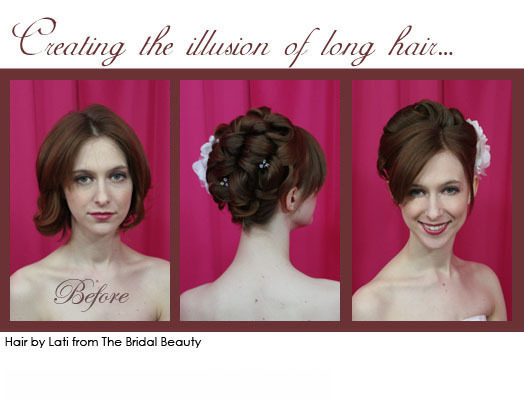 Stylesdowntheaisle.com has some great suggestions for shorter-haired gals like myself. I do kinda love this. My favorite image gallery for short styles might just be on brides.com. Like this one, for instance. And in my dreams of my ‘do, I kinda love the idea of half up, half down. Sorta like this shot of Anna Paquin. Doing some snooping around for short styles has reassured me there might just be hope for me and my short locks yet. This entry was posted in Uncategorized and tagged hair, wedding. Bookmark the permalink.